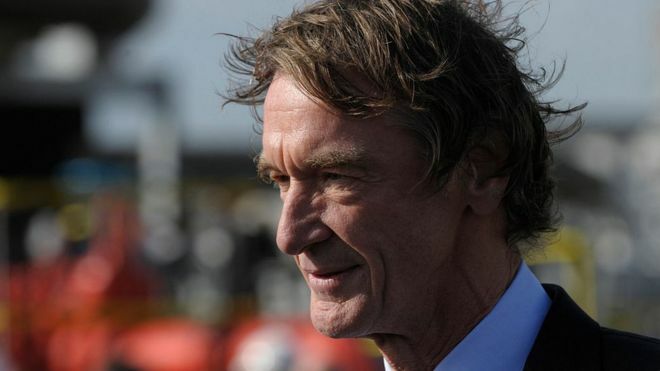 Britain’s richest man, Jim Ratcliffe, has announced £1bn worth of investments in the UK oil and chemical industries. Mr Ratcliffe’s company, Ineos, will spend £500m on overhauling the Forties pipeline system, which transports 40% of the UK’s North Sea oil and gas. It will also build a £350m energy plant at Scotland’s Grangemouth oil refinery site, which it already owns, as well as a £150m chemicals plant in Hull. Media reports have said Mr Ratcliffe plans to become a tax exile in Monaco. Earlier this month, the Sunday Times claimed Mr Ratcliffe, an outspoken supporter of Brexit, and two of his key executives could save up to £4bn in tax by leaving the UK. Ineos moved its headquarters to the Swiss city of Lausanne in 2010 to cut its corporation tax bill, but returned to the UK in 2016. Mr Ratcliffe said the investment programme would “ensure that our UK assets continue to be world-class for many years to come”. The Forties pipeline project would “extend the life of the pipeline by at least 20 years, into the 2040s”, the firm said. Ineos said it would overhaul the reliability of the pipelines, including modernising the environmental systems. At Grangemouth, it will develop a new steam and power plant, improving energy efficiency and long-term reliability, it said. The Hull plant will manufacture vinyl acetate monomer, a chemical compound used in making various industrial and consumer products including safety glass and laminated windscreens. Mr Ratcliffe, whose £21bn fortune makes him the UK’s richest man according to the Sunday Times rich list, has traditionally invested in speciality chemicals businesses, but began acquiring North Sea assets in 2015.